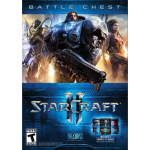 Designed to be the ultimate competitive real-time strategy game, StarCraft II features the return of the Protoss, Terran, and Zerg races, overhauled and re-imagined with Blizzard's signature approach to game balance. Each race will be further distinguished from the others, with several new units and new gameplay mechanics, as well as new abilities for some of the classic StarCraft units that will be making a reappearance in the game. 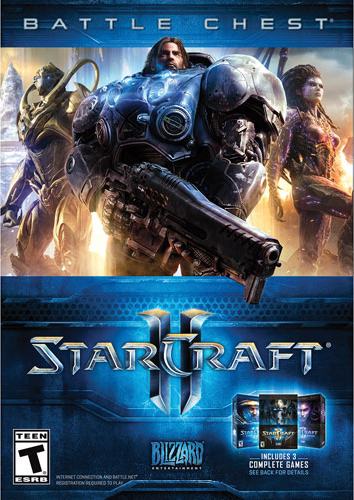 StarCraft II also featurse a custom 3D-graphics engine with realistic physics and the ability to render several large, highly detailed units and massive armies on-screen simultaneously. Each chapter of Starcraft II focuses on a specific faction of the Starcraft war. By splitting the game, players will access more story content, more characters, and more customization as the explore each side of the conflict. Play through three sweeping single-player campaigns with a combined total of over 70 missions from Wings of Liberty®, Heart of the Swarm® and Legacy of the Void®. Group up online with other players in Co-Op Commander Mode and play as Raynor, Kerrigan, Artanis, Swann, Zagara, Vorazun or Karax. Play a new Co-Op scenario every week as your Commanders gain experience and adapt to an ever-shifting battlefield. Command all multiplayer units and begin your ascent of a vast competitive ladder with leagues for every level of play. Challenge your foes in any game mode, including ranked, unranked, tournament and custom—all across a steady rotation of battlegrounds. As an added bonus, this Battle Chest also unlocks Artanis in Heroes of the Storm®, a free-to-play game also available from Blizzard Entertainment.